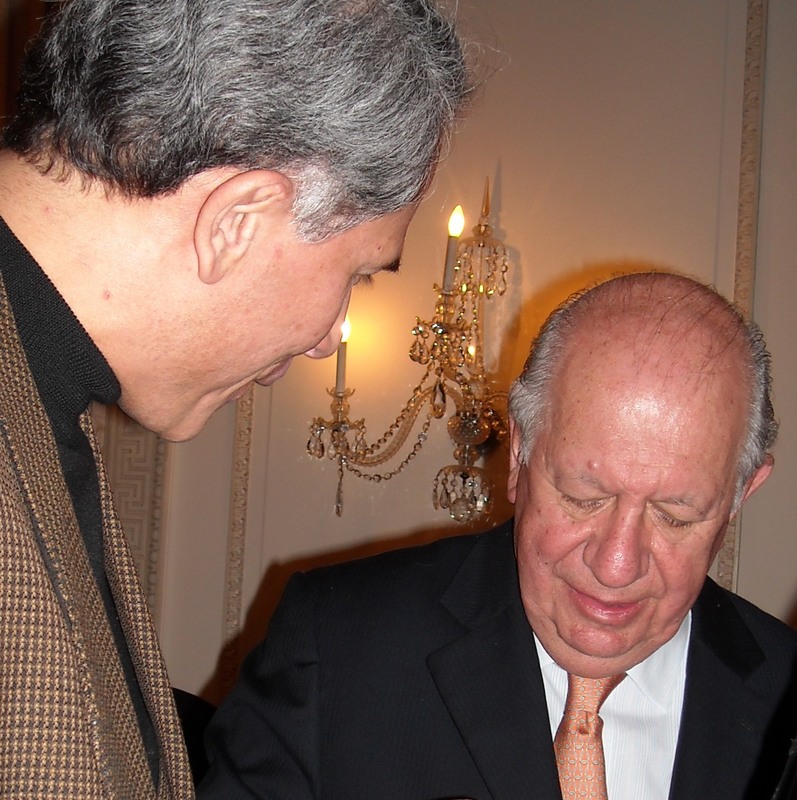 Former President of Chile, Ricardo Lagos, was in New York last month to launch his new book. The Southern Tiger, Chile’s Fight for a Democratic and Prosperous Future is a compelling account of the bloody CIA-led overthrow of the democratically elected government of socialist Salvador Allende, and the painful aftermath. As one of the leaders in the underground resistance against the Nixon-supported regime of General Pinochet, President Lagos recounts his country’s long and bloody journey from the terror that prevailed during Pinochet’s dictatorship to the Chile of today: a flourishing, open society that is one of the wealthiest nations in Latin America. I spoke briefly with President Lagos about his book, and about the “Chicago Boys.” In case you’ve never heard of the Chicago Boys, it’s the story of about 2 dozen Chilean students at the University of Chicago School of Economics. Under the tutelage of Nobel Prize winning economist Milton Friedman, these young scholars put together an economic plan on how to “rescue” Chile from the financial mess it found itself during the time of the military coup. It turns out that President Lagos (a PhD in economics from Duke University) was an early critic of their policies. From his point of view, their plan was nothing more than living off foreign loans. He warned that markets were being liberalized without any serious oversight and regulation, and without any regard to the social impact. It was a credit bubble fed by short-term foreign lending that would dry up just as fast as it had started. He predicted a big crash. The crash occurred in 1982 with a huge currency devaluation. Seven major banks had to be bailed out. GDP sunk by 15% and unemployment skyrocketed to 25%. The subsequent poverty was staggering, as thousands took to the streets to beg for daily survival. It was in this time of crisis (when perhaps Pinochet was so distracted) that a coherent political opposition was born that would eventually succeed in removing the dictator six years later, and in reconstructing a democratic Chile that – today – is hell-bent on economic growth AND social justice. For those of you interested in key socio-economic and political events that have shaped Latin American history, I highly recommend this book.